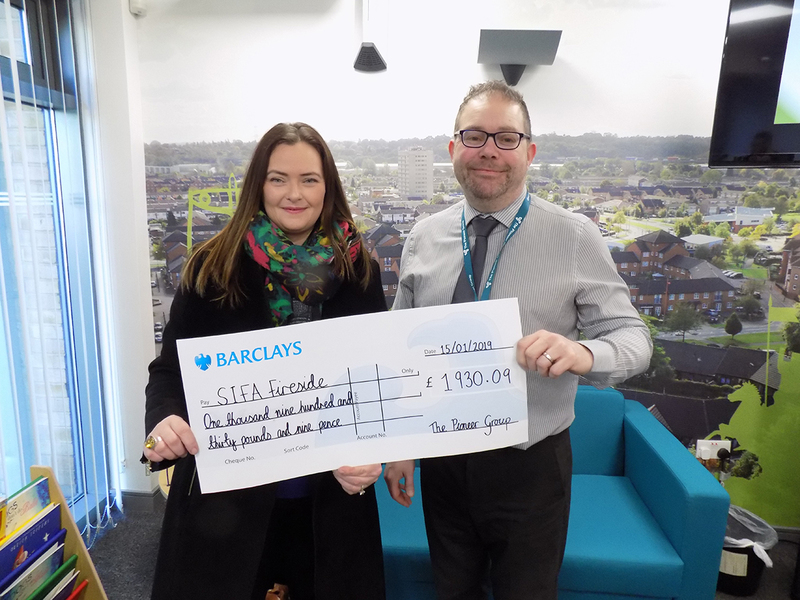 Eager employees at The Pioneer Group spent a busy 2018 raising £1,930.09 for chosen charity SIFA Fireside through a number of fundraising opportunities. From a jacket potato club to raffles; shoebox appeals and fitness groups – employees even organised an annual pool championship to generate donations. A particular hit was having staff choose the fate of our Executive Leadership Team. As the votes came in, it became clear we had our work cut out for us as it was announced we’d be forming a tribute band in time for our Christmas party. After a few evenings of practice, (along with some natural-born moves! ), STOPS was born and ready to perform. We raised over £150 before we even hit the stage, and was thrilled to hear the total continued to rise throughout the night. We’re delighted to support SIFA Fireside as a cause close to The Pioneer Group’s heart. Their team do fantastic work and we hope these funds help towards keeping the services available to those who need them most. SIFA Fireside is a leading charity, enabling homeless and vulnerable people to take control, paving the way for healthier, fulfilling lives. By providing inclusion, engagement and equal access to services for those who are disadvantaged, or experiencing homelessness, the charity hope to influence strategic development of homelessness both locally and nationally. We’re so grateful for the support of The Pioneer Group. The successful partnering has brought in fantastic donations as well as volunteering opportunities. As a local charity supporting large numbers of people experiencing homelessness, without the generosity of corporate partners, we simply would not be able to do our work. SIFA Fireside supports some of the city’s most marginalised adults, offering both practical support as well as specialist follow-on support.